Six Little Hearts: Bake a Sponge! If I bought a cake every time a birthday happened in this house, I would need to return to paid employment to support the cost! 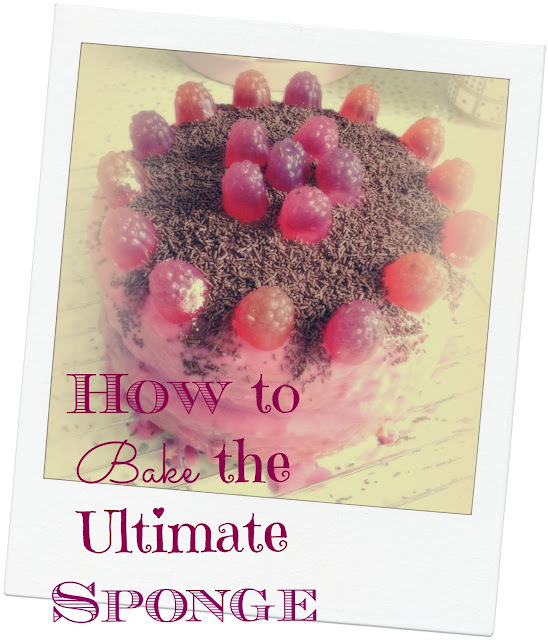 Sponge cakes are the ultimate birthday cake. Traditional, flavoursome and easy. Able to be decorated or dressed down in any form. 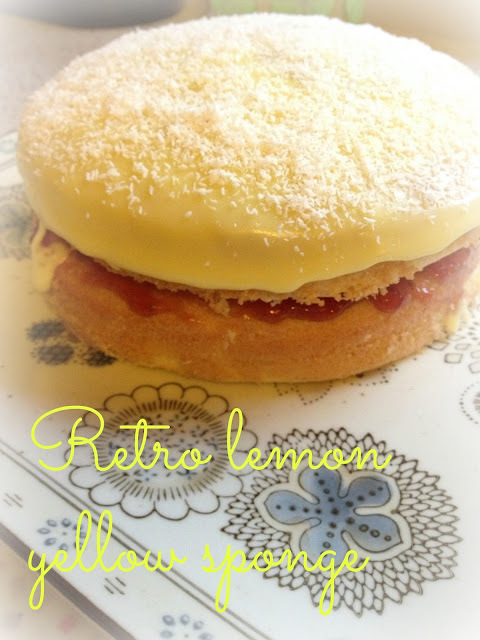 I love baking these retro favs! My kids think they are sensational and actually ask for them at birthday time. I am so flattered! Best of all, sponge cake is inexpensive and convenient. No difficult ingredients or complicated steps. No trips to the supermarket either! Yay! I have two favourite sponge recipes. The first is a traditional recipe. I think it results in a slightly puffier sponge. (Pictured above). The second, photographed in stages below, is my super fast, lazy Mom sponge. Basically a throw it all in the bowl at once, mix and bake type affair. Who doesn't love one of these recipes! You will need 2 sponge tins. Mine I am so proud of! My husband found a box of retro kitchenware on a junk pile one night in our neighbourhood. They are about 40 years old and I love them! I like to think of the old lady who once owned them, who baked for her own kids' birthdays and then her grandkids! I think they add even more retro cred to my retro baking! If you do not have the said tins do not despair! Any round cake tin will do even if you have only one. You will just need to re-line it with baking paper when the time comes to bake the second cake. Grease, flour and line 2 sponge tins with baking paper. (Or one reg. cake tin to be used twice). Beat egg whites until thick and add sugar until dissolved. Fold in sifted flour and when blended, add the boiling water. Divide mixture evenly into the cake tins and bake for 30 mins each. Beat all ingredients together for a good couple of minutes until smooth. Divide mixture evenly between your prepared tins and bake at 180 degrees C for 20-25 minutes until lightly golden. Fill your sponges with jam (and cream too if you wish) and decorate with icing and whatever toppings you prefer for the occasion. When people gush at your savvy baking ability, you can secretly feel proud that there really was no effort involved to whip this up! Why not bake it this weekend?! Thanks Sarah Lou! Make sure you give it a go! Really good treat for feeling better!